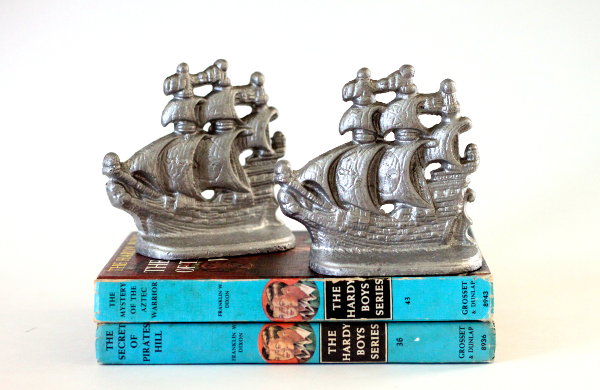 Among the things I couldn't resist is this beautiful set of silver boat book ends, haven't seen ones this small before. See 'em On Etsy. 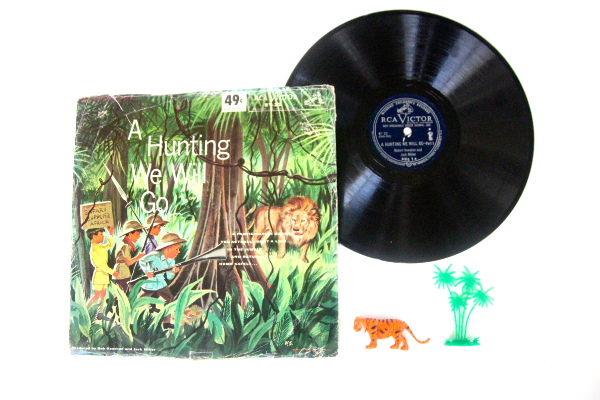 And then there were fun children's records, I love the artwork on this Walt Disney "A Hunting We Will Go" record. ----->>> See it On Etsy. And also enjoy the bold primaries on this set that includes an adorable Puss in Boots record, probably my favorite of the bunch. ----->>> See it On Etsy. My never-ending mug fetish! It cannot be quenched. I actively fight to resist brining home more but this gorgeous sunset patterned set had to come with me. ----->>> See it On Etsy. On the way home I also scored this gorgeous Japanese set, hand-painted and very similar to a set of yellow made in Japan plates I have here on Etsy. I believe this is China from the 1940s? They are so beautiful in person. Would love it if anyone has more information on these to share with me. ----->>> See it On Etsy. 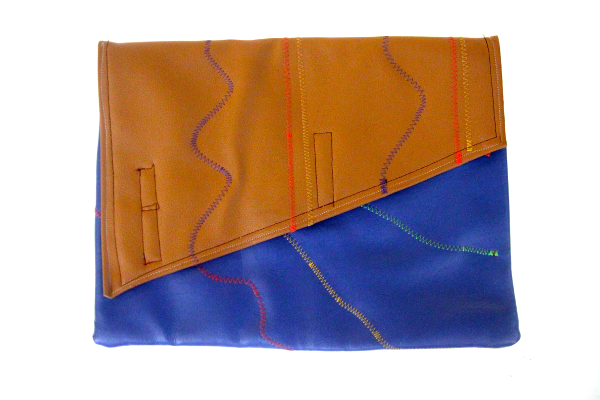 This soft clutch wouldn't be my personal style for carrying around, especially without a strap to keep it on my body (I'm painfully spacey and would leave this behind in an instant) but it was so inexpensive and the geometric bold shapes are fun to photograph. See it On Etsy. It reminds me of an old skating rink with neon lights, just a fun retro piece with bold colors. 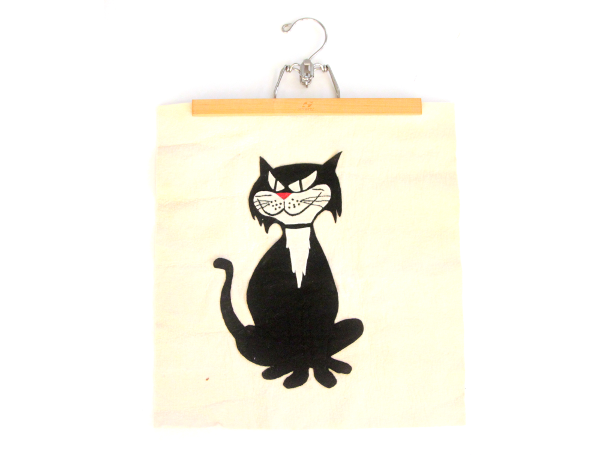 Another favorite is this mischievous tuxedo cat wall hanging. The blocky angular design reminds me of a 1960s design and animation style but with his red nose he almost recalls Sylvester the looney tune. I need to take another photo detailing the fine stitching on the legs you can't quite see her. He's such a fun piece. I was told he was made in the 1950s-60s. See it On Etsy. It's All For Sale: Send me an e-mail if you wanna buy anything you see in this post. Christmas is 'a comin'! Check out the Etsy shop for more goodies, I'll be adding more gift ideas every day. The art on the kids' records is great! Never saw those before. That's the best part! So hard to leave them behind even though records are a HARD sale. Easier to market them as kitschy art than for the music, perhaps. I love the records and the cat wall hanging! He kinda reminds me of our black-and-white kitty :) I'm like you in that I can never resist that kind of adorable mid-century artwork. Kudos for getting your house box-free! (That's a daily struggle around here as well and I know how hard it can be). Thanks Melissa. I can never resist a unique kitty cat, I'm such a cat-lady. I remember the records from my younger years. I agree the album covers are frame worthy. Love how you have them photographed with the dinosaur. Thanks! 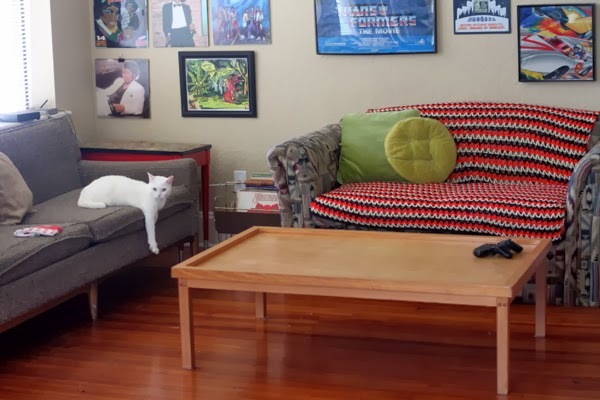 I think I need to re-do product photos with them on the wall and such. What a haul! 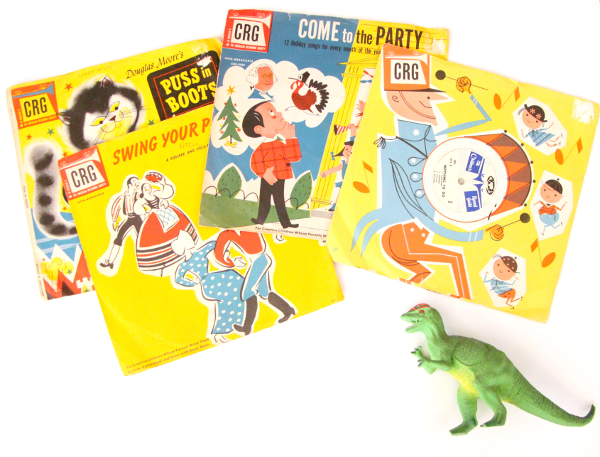 I love the cat poster and the children's records, particularly the Swing your partner graphics. I stick to the No Shopping rule right up until the moment I break it. Works for me! Haha ;) This one was from the Friday before the last one, I did miraculously avoid what I'm told was an amazing yard sale this week. I do believe I'll be allowed to shop again soon, feeling more confident about getting what I have in this house in front of eyes soon. Great stuff - there's obviously no WAY you could decline that invite! 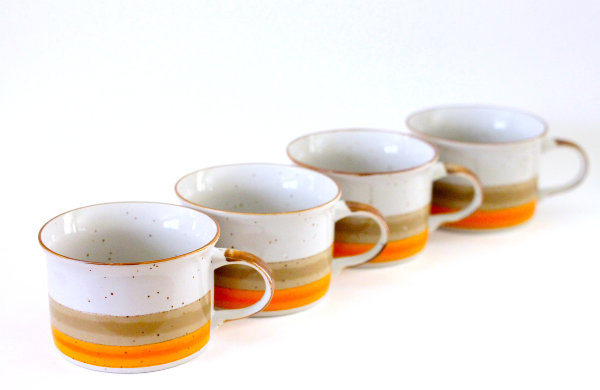 ;) I love the Japanese cups and do I spy a Michael Jackson gallery wall in your apartment??? Girl after my own heart! Cute finds, I like those boat bookends! I really liked those too, I wonder how they'll do in Southern Crossing soon! Oh Van I always love your haul posts and you're right you can't possibly ignore an invite. I do love those records. I'm glad to hear also that you are feeling better about your living space. Great idea to work in small batches that's exactly what I do so I don't have everything out with the kids around and I do things around pockets of time in our day to day schedule. I do photograph the new stuff as soon as it comes in but yep, for photographing the older stuff I'm finding the small batches to be much better thus far. Always trying to find new ways to work efficiently without going crazy! I love your Japanese set, its so pretty in pictures I can't imagine it being prettier in person! Thanks Anny, I wish I could do it justice, such a gorgeous old set. Wow, what gorgeous finds! 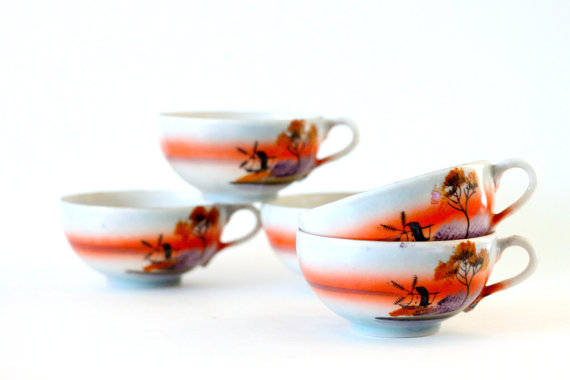 I love the Japanese tea cups - wonderful. 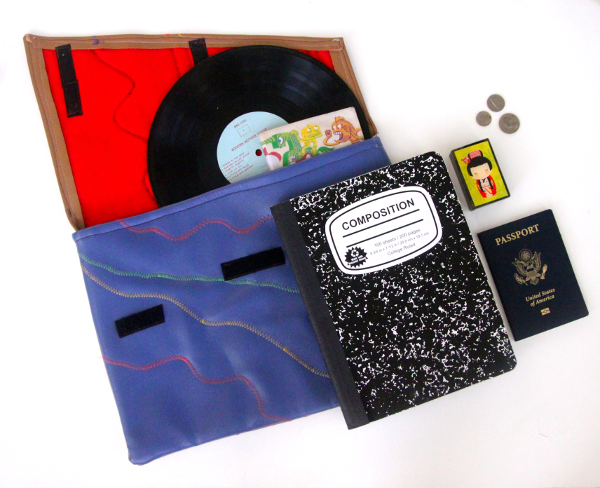 I love how you photograph your goods! I gotta learn how to do that. It's so attractive to the eye! Oh VAN so many goodies!! How to choose my favorites? I don't know! My lys are JUST getting into the Hardy Boys so they immediately caught my eye-the books ends are AMAZING! Mug fetish?!? been there! I didn't buy mugs this week, was hard. I love them but they're such a slow sale I can't justify filling my tiny apartment with more, not enough storage space for them!